With strong analytical skills and reasoning ability, one can easily crack the most ardours banking exams. Candidates preparing for IBPS, SBI PO Exam and other national banking exams must ensure that they are guided well. To help the aspirants, we bring you this complete package e-book – SBI & IBPS Bank PO Exam. This e-book is all that you need. Why Purchase this SBI & IBPS Bank PO Book 2010 - 2017? With previous years’ solved papers (from 2010 to 2017), this particular piece offers a student-friendly approach along with excellent analytical explanations. 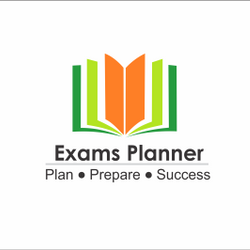 It has 40 solved papers consist of 14 SBI Papers, 15 IBPS Papers, 8 IBPS RRB Papers and 3 other Bank Exam Papers. A complete self-study guide with year-wise questions and answers, this e-book available in PDF format is must for SBI/IBPS PO/RRB/RBI exams.